doug: What makes him so good? Tune in to the Science Channel tomorrow night and you may see a familiar face. Douglas student and pinball wizard Robert Gagno will be featured on Ingenious Minds, a show that delves into the brains of individuals who possess extraordinary abilities while also suffering from intellectual and developmental disabilities. Robert, who has autism, is a full time student in the Basic Occupational Education Program, Retail and Business Services Option. 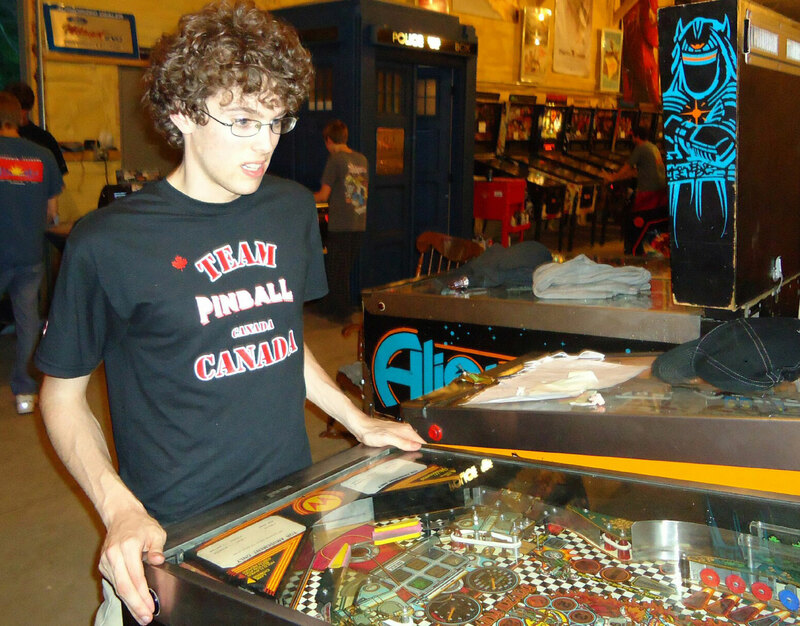 He is also the #1 one ranked pinball player in Canada and #20 in the world, and shows no signs of slowing down. In December he took first place in the annual championships of both the Vancouver Regional Pinball Association and the Seattle Pinball League. Last fall the Science Channel filmed Robert doing the things he normally does around Vancouver: playing pinball, doing gymnastics etc. They also flew Robert and his dad, Maurizio, to the Mayo Clinic in Rochester, Minn., for an MRI, with diagnosis provided by the chief neurologist. Maurizio reports that Robert’s current passion is poker. For the past four month’s he’s been teaching himself the game through YouTube videos and TV programs. He joined the local World Poker Tour club in December, and since then has consistently finished high and is ranked #10 in BC. See Robert on Ingenious Minds Thursday, February 24 at 10pm. And check out the earlier post we did on him last summer.